The Thomas and Dorothy Leavey Foundation Cardiothoracic Intensive Care Unit is a 24-bed Cardiothoracic Intensive Care Unit (CTICU), located in the Marion and John E. Anderson Pavilion, is the center of the Heart Institute, incorporating the divisions of Pediatric Cardiology, Cardiothoracic Surgery and the Department of Anesthesiology Critical Care Medicine. It is staffed by pediatric intensivists, and is the largest unit for pediatric cardiac critical care patients in Southern California. We admit approximately 900 patients per year, including those with the most complex diseases of the heart and lung. Our new state-of-the art facility which opened in 2011, is equipped with positive-pressure and HEPA-filtered private rooms designed specifically for transplant patients. As a result, this specialized care unit reaches out to critically ill children with an effective mix of medical disciplines, including nursing, respiratory care, cardiology, cardiac surgery, anesthesiology and critical care. 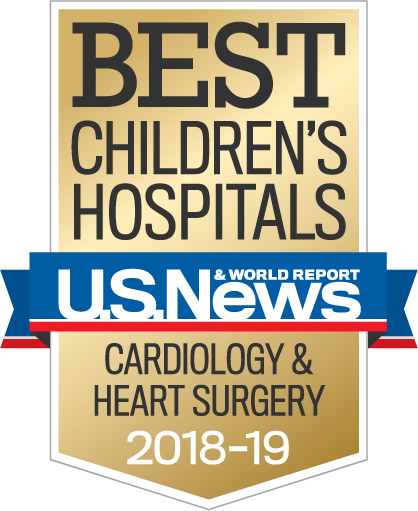 Pediatric cardiac registered nurses (RN), respiratory care practitioners (RCP), cardiac intensivists, and nurse practitioners (NP) provide the “front-line” care in the CTICU by their continuous presence and service to the children and families. Daily multidisciplinary care rounds occur with the collaborative input from each of these disciplines. The RCP’s are trained and experienced at providing the specialized respiratory needs of children with heart disease. There is ongoing teaching and education of advanced cardiac care management throughout the year provided by our NPs, CTICU Education Managers, and senior nursing staff. In addition, the CTICU staff possess particular expertise in the use of advanced technologies such as inhaled nitric oxide, extracorporeal membrane oxygenation, and ventricular assist devices. We also have the support of pharmacy, clinical nutrition, social work and child life specialists to ensure complete care of our patients and families. Use of brain natriuretic peptide as a marker for postoperative heart failure. We are about Family Centered Care, and parents and families can expect to participate in our daily rounds that take place at the patient’s bedside. We have an amazing nursing, respiratory care, and support staff including pharmacy, social work, nutrition, and child life specialists, to ensure that each patient receives the best individualized care. Tetralogy of Fallot: What is it? ALERTA PARA LA SALUD: Es posible que haya visto la cobertura reciente en los medios de comunicación de una alerta para la salud acerca de los aparatos calentadores-enfriadores Sorin 3T. A partir del 2 de noviembre de 2016, CHLA remplazó los calentadores-enfriadores Sorin 3T en sus salas de operaciones. Si tiene alguna pregunta acerca de su cirugía, llame al Instituto del Corazón al 323-361-2429 o envíenos un correo electrónico a HeartQuestionsLine@chla.usc.edu.